Adrian Piper loves his anonymity; it is the perfect way to navigate his tumultuous high school. Just keep his head low, hang out with his two best friends, and keep his authorship of the wildly popular gay webcomic, Graphite, to himself. 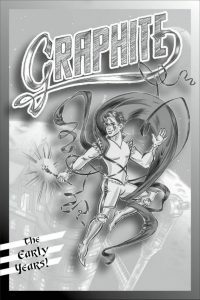 While the comic’s protagonist’s Graphite might be Adrian’s superhero alter ego, Adrian isn’t exactly super in real life. That is until his decision to intercede when a group of bullies are beating another gay teen pushes him out into the spotlight. Stepping out of the shadows leads Adrian to question exactly what kind of hero he want to be? 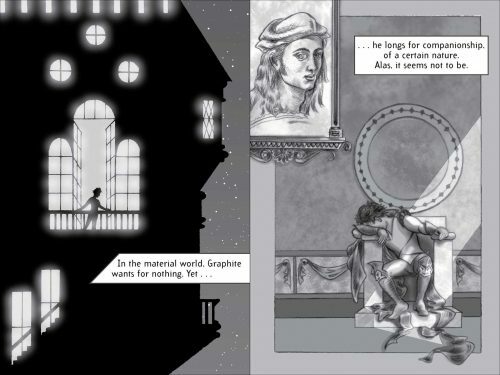 In Laurent Linn’s Draw the Line, Adrian’s story is interspersed with panels from the character’s renaissance-inspired superhero webcomic. Adrian uses his art as his way of working through what is going on in his life. Linn’s canny juxtaposition of Adrian’s webcomics with the overarching narrative allows for smart emotional exploration. The illustrations are used sparingly to progress the central story forward, even though they are fascinating in their own right. 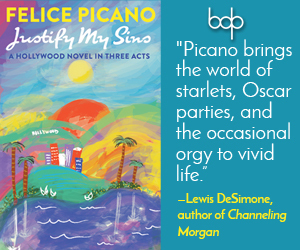 Within its 500+ pages, Linn’s novel contains multitudes: humor, heartbreak, empathy, romance, and tragedy. In addition, Linn’s empathetic shading allows the novel’s various players to evolve without causing the plot to drag. Adrian is surrounded by a diverse cast of fully realized characters. 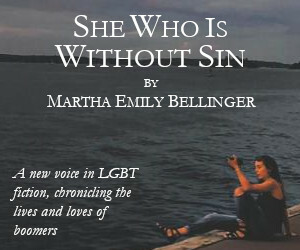 While many are based on stereotypes, Linn presents each character with a lived in humanity—though the introvert Adrian has hard time recognizing it. From the “sassy” black best friend to the closeted jock, it is clear that Adrian is only able to see a small corner of these people’s lives. Adrian is the kind of guy who has been so focused on his own troubles that it has been a long time since he bothered to look up from his sketchpad. 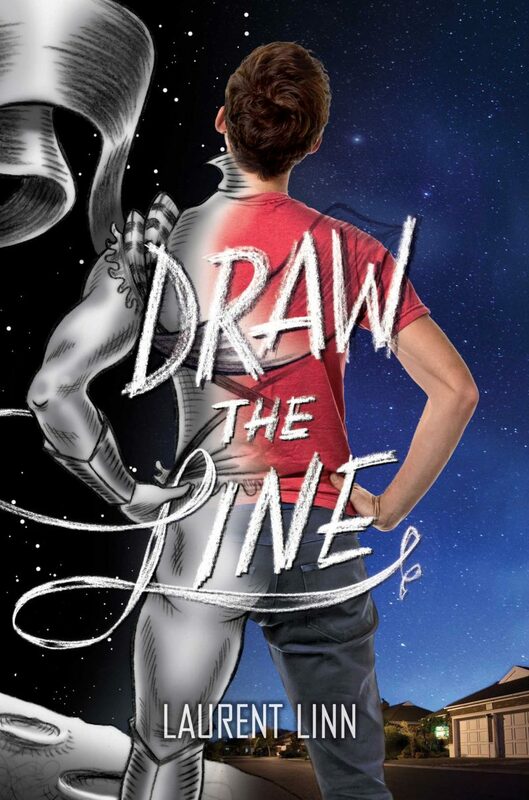 Draw the Line showcases classic superhero tropes (evil is absolute, the good guys ascend into their powers) and then tweaks and usurps these tropes to grapple with real world complexities. Geeky Adrian must learn the world is more complicated than the comic books he reads and creates. This lesson takes the protagonist on a different type of hero’s journey. Adrian must struggle with the fact that fantasy has its limits, while simultaneously learning to take seriously the oft used comic book cliche of the power of one “extraordinary” individual. The best LGBT young adult fiction by LGBT writers often reads as love letters to the teens they once were and this book is no exception. Linn writes to remind all of us to be ourselves, that storytelling and myth can be launchpads to creating real change, and to always remember the heroic power we have inside ourselves.